This is the balanced dagger that my assassin will be using. From the view of a Lv.88 character, it is a 2.5/1.5 dualmax. 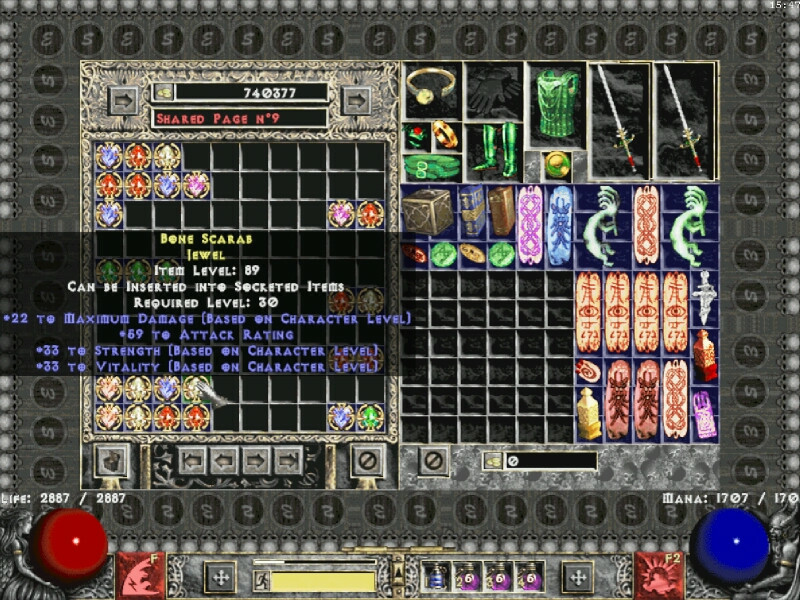 Not everyday you see a jewel with three BoCL stats..
One of those "almost very good" items. No 3 sockets. 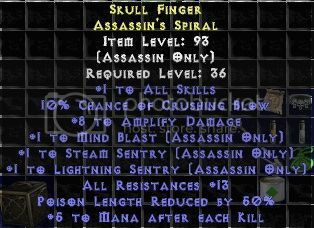 This dropped by nightmare Baal, only upgraded the base item at the moment. i hate photobucket these days. anyhoo, that +8 amp dmg works great with my physical dblade sin. had to grind hard for the rolls.